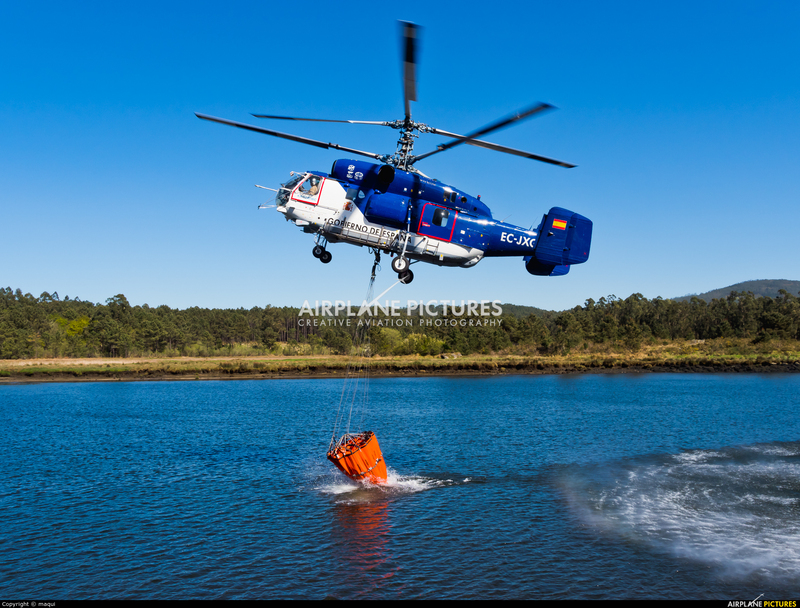 One of the wildest forest fire in Galicia be fighted with several helicopters. Here is the Kamov "bomber", taking water on the Forest. Fire in Dodro and Rianxo at Rias Baixas.